P. Balistreri Salumi is hand-crafted artisan salumi and charcuterie made with all-natural pork, sea salt, artisan spices and hand cut organic herbs in Southern California by Chef Pete Balistreri. 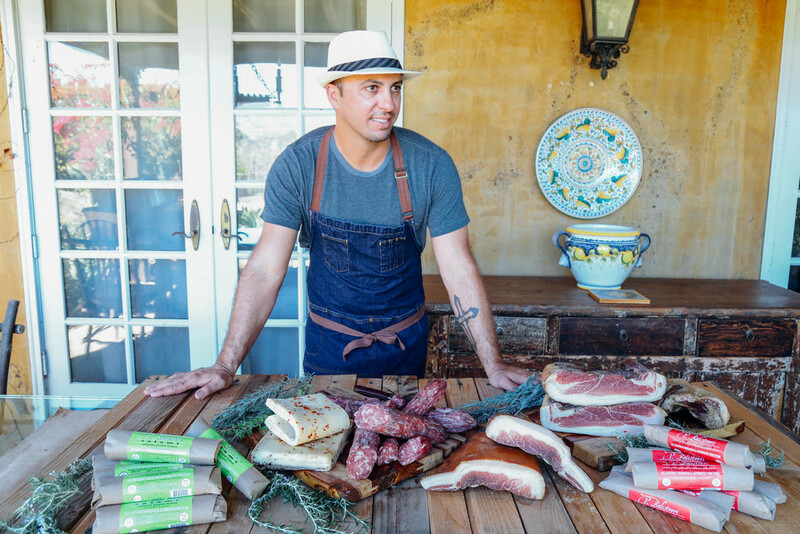 Drawing inspiration from his Sicilian heritage, Pete taught himself how to make salumi and cure prosciutto from scratch while he was the Executive Chef at Tender Greens. His Italian-style salami quickly gained a loyal cult following which led him to the launch of P. Balistreri Salumi. Produced in partnership with La Espanola Meats in Harbor City, California. P. Balistreri Salumi’s Good Food Award-winning salami is now available at Southern California’s top artisan markets and served at fine dining restaurants by top chefs in the area. Pete Balistreri, a first generation Sicilian-American and San Diego native, was born and raised in the close-knit community of Point Loma, where he played varsity baseball and football for Point Loma High School and earned a full football scholarship to San Diego State University. After graduating from SDSU, he headed to the renowned California Culinary Academy in San Francisco to follow his passion for food. Pete earned a Bachelors Degree in Culinary Arts, and soon went on to apprentice in some of the country’s top kitchens, including the 1997 James Beard “Best New Restaurant in America” Rose Pistola, Masa’s, Union Squares Pan Pacific Hotel, One Pico at Shutters on the Beach and The Lodge at Torrey Pines. He opened Tender Greens in San Diego as Executive Chef and is now the Vice President of stores. When he’s not at Tender Greens or growing P. Balistreri Salumi, Pete spends his free time as a coach and a mentor to his kids, paddle boarding in the ocean or tending to the garden.